Silver Companies has long been noted for its honesty, integrity, character, and a passion for innovation. Since founded by Carl D. Silver in 1941, the company has continued to build on that reputation. The introduction of the SILVER COLLECTION Resort Style Apartments marks the latest creation in that legacy. “Building a superior product for multi-family living that meets the high standards of Silver Companies” was the goal of Larry D. Silver, CEO of the family-owned business that has grown into a prominent national real estate development and finance company. Silver Collection at Carl D. Silver Parkway is not just rental apartments but luxury apartment homes. These residents are provided homes with an amenity-rich resort lifestyle, “The Silver lifestyle” — a new concept in apartment living not found anywhere. Silver apartments are state of the art with large clubhouse facilities, normally reserved for high-end country clubs, and highly finished units catering to those individuals seeking resort style living. Offering such amenities as luxurious coffee bars, high-end fitness centers, large dog parks, saltwater resort-style pools and grilling stations are just a few of the ways that their residents experience concierge-style services and amenities every day. Silver Collection at Carl D. Silver Parkway in Fredericksburg, Virginia, is proud to join the Silver family and will remain a member of the family for years to come. Being a member of the family ensures the continued maintenance of quality and the finest in resort-type lifestyle. Silver Companies has had a large influence and impact in the Fredericksburg area, having been instrumental in master planning and developing large tracts of land over the last 40 years, including what is known today as Central Park and Celebrate Virginia. 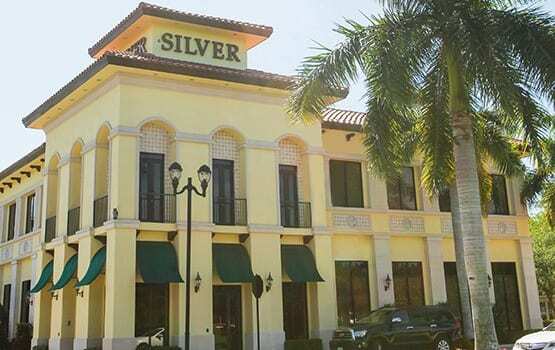 Silver Companies has offices in Boca Raton, FL, and Fredericksburg, VA. For more information on Silver Companies, please go to SilverCompanies.com.